Welcome to the Habitat page! Here you will learn about the regions California oatgrass inhabits and how it may not be too far off from your own home! The species Danthonia californica most commonly inhabits temperate regions, but is also found on tropical mountains and in some dry areas. This oatgrass thrives best in the southern hemisphere, specifically Australia, New Zealand, South Africa, and South America, and even Central and North Africa, although this oatgrass has gradually moved up into the Northern hemisphere particularly in California (de Wet, J. M. J. 1954). When some people think of California they imagine the crowded beaches and palms trees lining boardwalks, although this state contains many different habitats for thousands of species to live in! The cold pacific waters lining the rocky shore in the North by Crescent City, or the scorching sun beating down on dry air when you head down to San Diego, along with the cool breezes you might feel and 60 degree weather in San Francisco are all places that offer many different environments for species to inhabit and enjoy. Danthonia californica best prefer the perennial grasslands in Northern California where the region has temperate temperatures. The state of California contains a temperate climate which allows a number of grasslands to thrive and grow beautifully throughout the area. 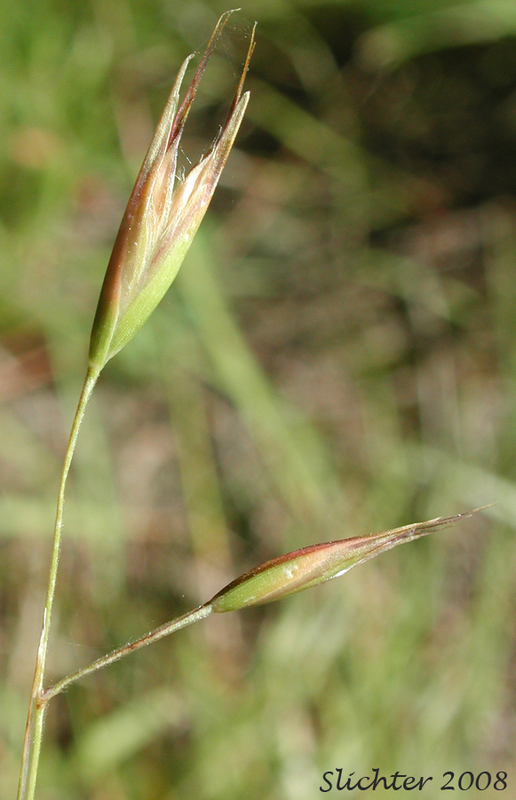 California has numerous grasslands that serve as a home for Danthonia californica, or better known as California oatgrass. These grasslands are like other temperate and Mediterranean grasslands that have highly threatened eco systems and are a target for the efforts of resotration to take place (Hayes and Holl 2011). These coastal prairies are Mediterranean grasslands that have a moderate amount of moisture, and are spread out randomly from Oregon to the Channel Islands of California (Hayes and Holl 2011). In Northwestern California in the rangeland of Humboldt County, the territory is best known for the strong presence of California annual type grasses that flourish alongside perennial grasses native to the area (Heady et al. 1963). Danthonia californica, or California oatgrass is one of the perennial grasses that is most important to the area, growing in abundance alongside the other grasses such as Bromus mollis, or better known as Soft Chess. Many other perennial grasses inhabit Northern California grasslands because the climate is not too hot or too cold, but temperate climate, which allows many oatgrasses to thrive and cover fields and hills with its tall stems and elegantly shaped tops, especially Danthonia californica and Bromus mollis. California oatgrass have a high grazing preference from August to April, but a moderate grazing preference in May through June. The oatgrass leaves often grow 6-18 inches during May through June, and the seeds maturing at 18 inches. Let's learn more about how California oatgrass adapts to the organisms living around it!